Our new monthly Shabbat Live experience is all dressed up for CHANUKAH, with a earlier start time of 6:15PM, a scrumptious Oneg at 5:45PM, featuring our Temple Singers, guest pro-musicians and singers, new upbeat music with Jordan Abraham and Paula Baruch, followed by a Community Chanukah Dinner with Chanukah Sing-along, Games & Crafts for children, Israeli Dancing and of course, Dreidels. Could Shabbat be more awesome? SHABBAT CHANUKAH LIVE December 15th! This wonderful opportunity for Tikkun Olam is really gaining momentum. We have a lovely group of people who come out monthly to recycle milk bags into sleeping and emergency surgical mats for places in dire need. We watch a movie together while we work! It’s relaxing, fun and great to know you are really making a difference! Temple accepts milk bags daily for this project. Feb 22nd at 7pm is our next date. Please bring a beverage and snack to share to this event. Our Yofi Jewish Experiences for Young Families continues this fall and we are adding Jewish Holiday experiences along with our Yofi Shabbat. Our next gathering is Friday, January 12th. The fun begins at 5:15 PM, before our regular Oneg 6:15 PM and service at 7:00 PM. Anyone in the Greater Hamilton area desiring a Taste of Shabbat and Jewish Holidays with their little ones are warmly welcomed. 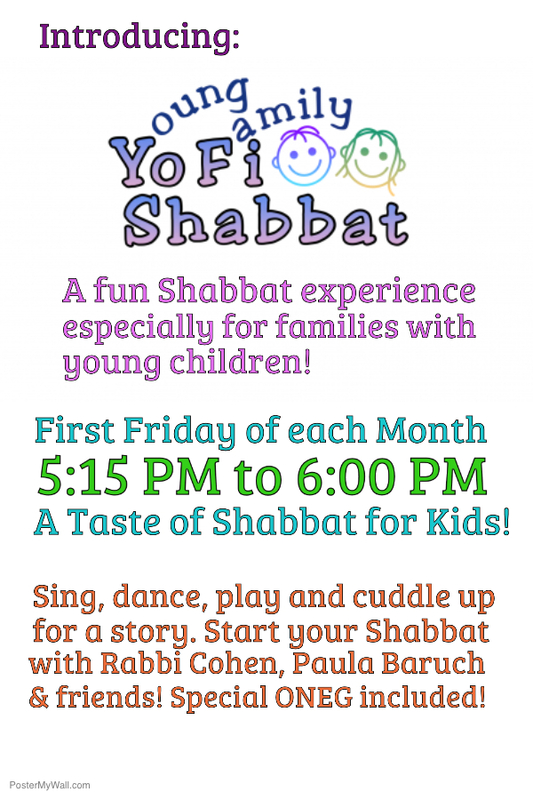 More reasons to join us Friday evenings as we welcome Shabbat together! We are hosting our next meeting on Thursday, December 14th at 7PM. We would love to include you in our planning of events. Membership information is available through the Temple Office. Learn, Live, Love Jewish at Temple Anshe Sholom. Our Hebrew Through Movement Program teaches Hebrew in a way that is fun for our students! Classes are twice weekly on Wednesdays 4:30 PM to 6 PM and Shabbat Morning 9:00 AM to Noon. Drop in and check us out! TASTY is celebrating Chanukah in our gorgeous Youth Lounge. You can join us. Call the Temple Office. JYG has fun social events throughout the year. Call the Temple Office anytime to learn more. We look forward to including you in lots of fun activities! Join us for Lunch & Learn on Mondays at Temple Anshe Sholom and at Shalom Village. Our Winter schedule is now available for your consideration. Hope to enjoy your company at this gathering. Books and Ideas with Rabbi Baskin will return in the spring. Join Rabbi for a discussion of various books and literary topics. Contact our Temple Office for more details.